Dualist Inquiry is the brainchild and solo project of Sahej Bakshi, a music producer, guitarist and cerebral agent who graduated from the Thornton Music School at USC in Los Angeles, CA. 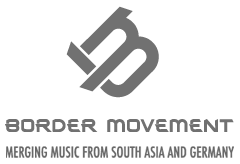 Since returning to India in 2010, Sahej has grown to be considered one of the leading producers and live performers of electronic music in India, releasing original music and touring extensively. His sound is broadly categorised as a fresh mix of live electronica and guitar-based rock, and has been steadily winning audiences over across the country. His debut release, Dualism EP (2011), and series of bootleg remixes that followed, received widespread critical acclaim and cemented his sound as one that is instantly recognisable and uniquely his. Dualist Inquiry is currently in the process of releasing Doppelganger, his widely-anticipated, first full-length album. He has been the preferred supporting act for an impressive list of international producers and DJs touring India, including David Guetta, Fatboy Slim, Basement Jaxx, KOAN Sound and Hexstatic. In addition, he has performed internationally at the Berlin Music Week (2010), and the Great Escape Festival (2011) where he opened for Beardyman and the legendary DJ Shadow. A seasoned performer of the music festival and club circuit in India, Dualist Inquiry has performed over 150+ shows over the last 2 years. His festival appearances include the NH7 Weekender, Sunburn, Invasion Festival, Sulafest, BASS Camp Festival and India Bike Week. College festivals include headlining slots at Saraang Festival (IIT Chennai) and Sympulse Festival (Symbiosis, Pune). He has performed regularly at the nations top clubs including blueFROG, CounterCulture, High Spirits and The Living Room.